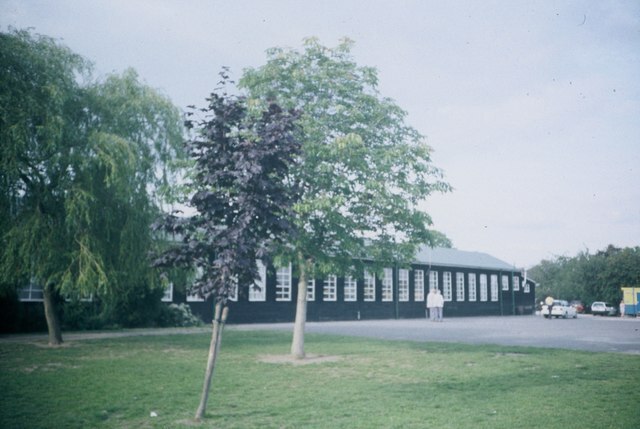 When the Metropolitan Railway had established a line to Watford Park in the mid 1920’s and a station at Croxley Green, land became available in the early 1930’s for the construction of a new housing estate close by and a potential site for another school. 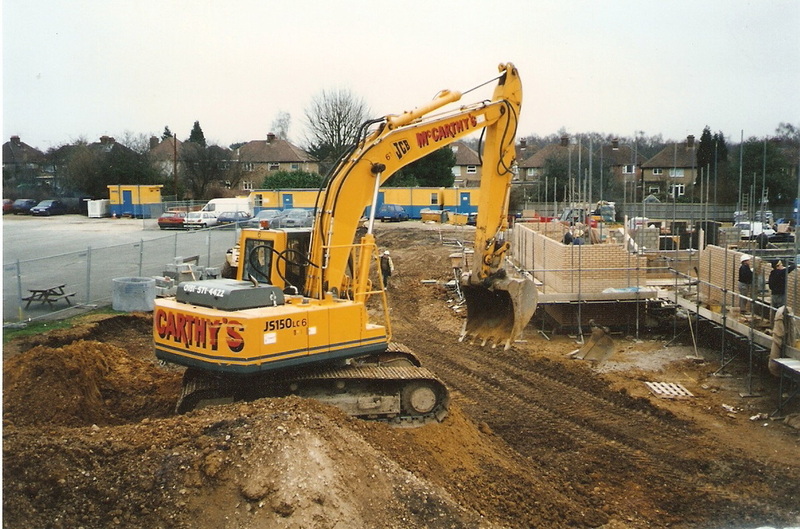 The south side of Croxley Green was one of these new developments known then as The Nutfield Estate. This led to new families requiring school places for the infant and junior levels as well as senior places. 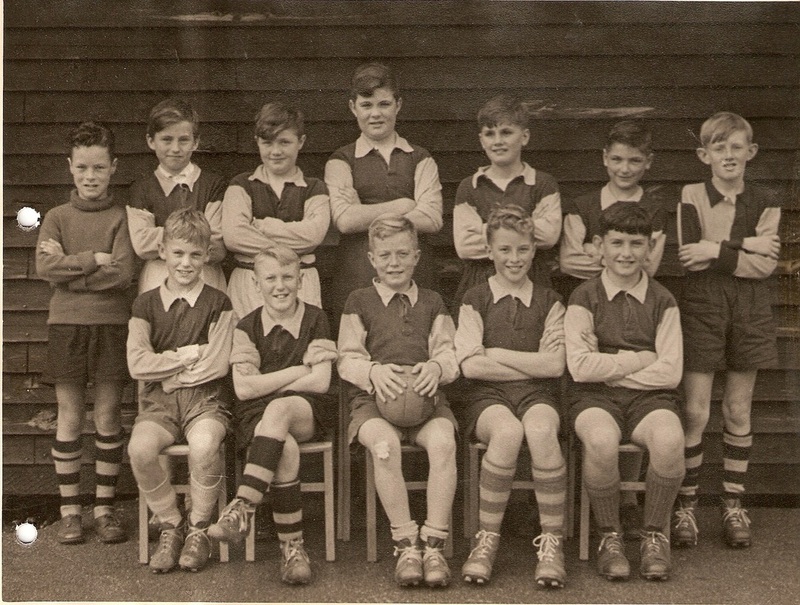 The two original schools, Yorke Road and Watford Road boys’ were now heavily overcrowded. 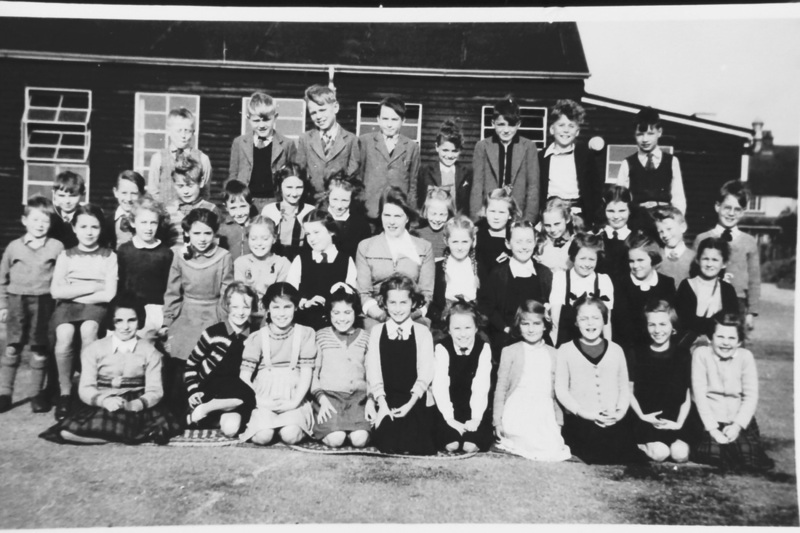 Education for Croxley Green children had been transferred to the responsibility of the Hertfordshire County Council (HCC). 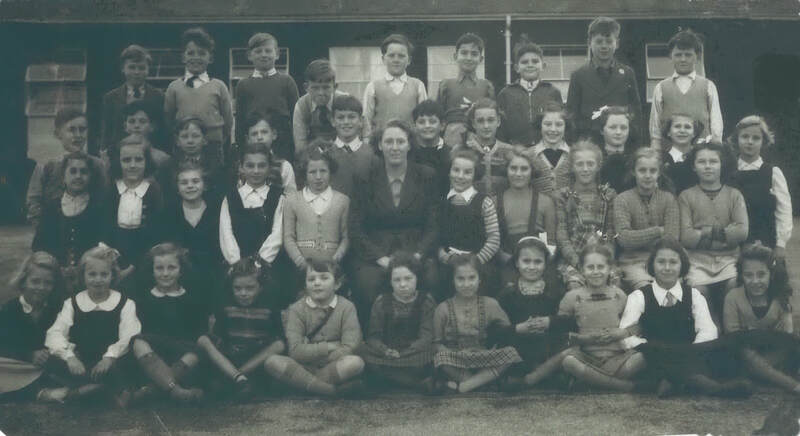 The housing development began to escalate so quickly that in 1938 plans for the Hertfordshire County Council’s site of approximately nine acres were hastened and a school was built with seven ‘temporary’ wooden huts for classrooms. 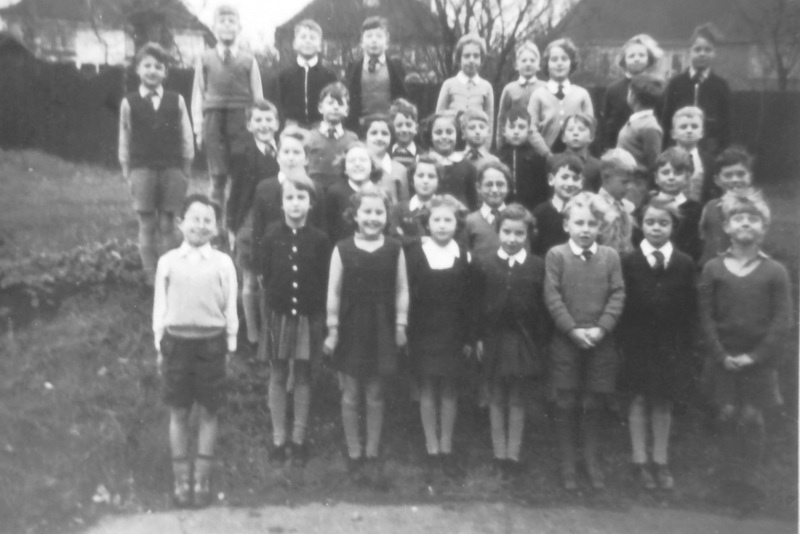 It was at this time that Croxley Green was required to come into line with the County system of having mixed infant/junior/senior schools. 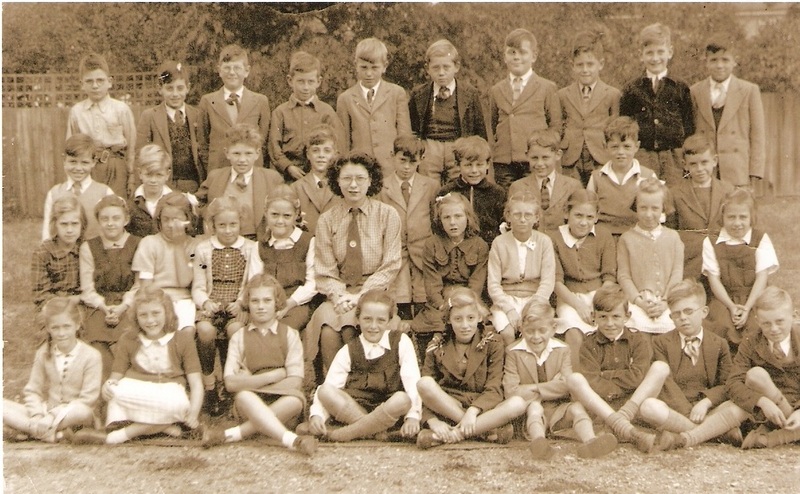 A senior school for older children was also urgently needed and land was purchased from the Durrants Estate for this purpose. 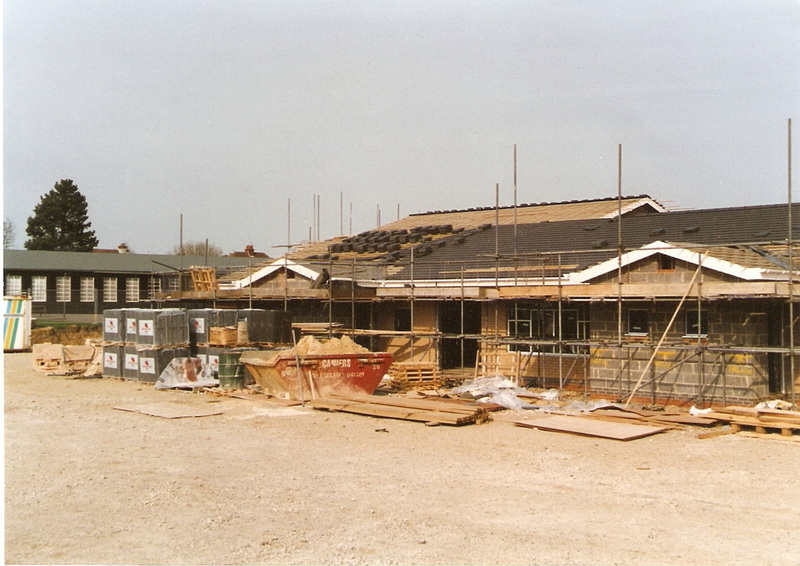 Meanwhile, whilst it was under construction boys and girls of senior age, (11yrs and above) shared the wooden temporary huts of Harvey Road, the Old Boys school ( 3 classes) and the Guildhall (2 classes). 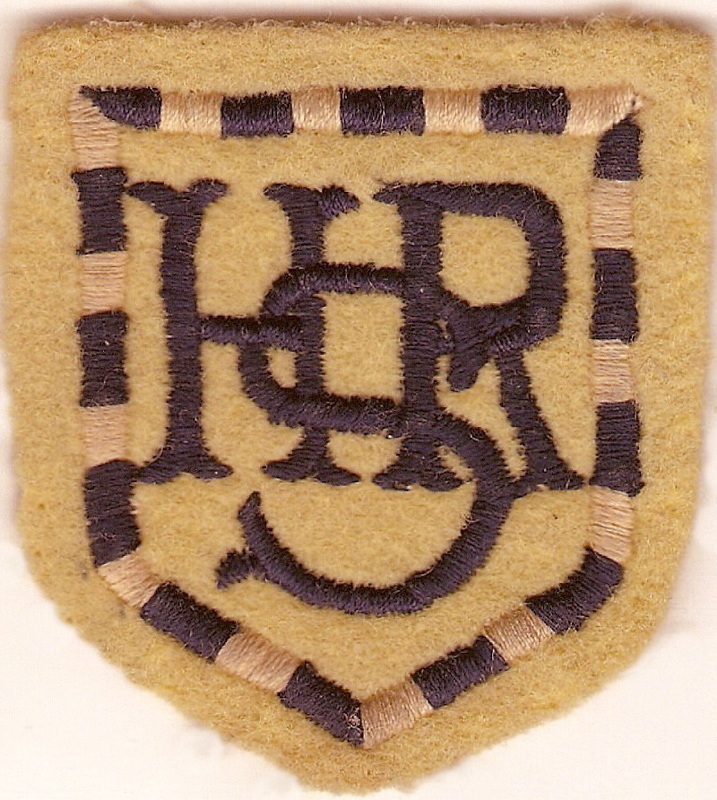 On the 17th April 1939 Harvey Road opened as a Junior Mixed School, just prior to the outbreak of World War II in the September of that year. 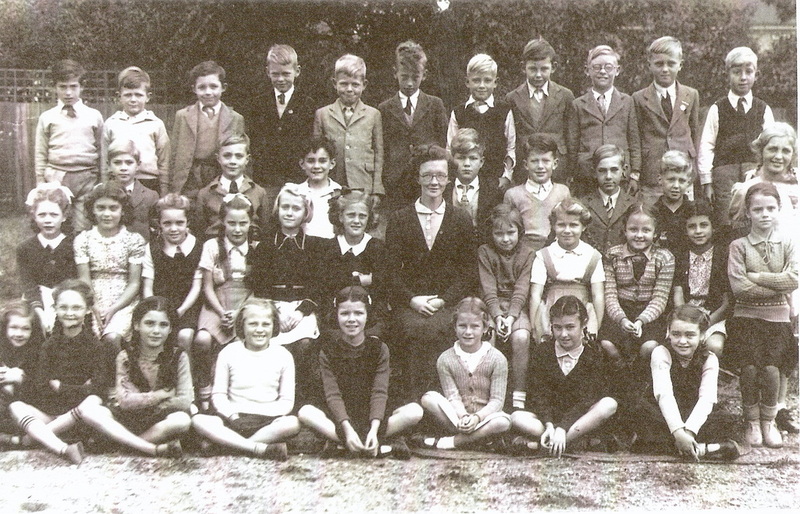 Miss Cooper became Headmistress having been Headmistress of the Girls’ school in Yorke Road for a number of years. 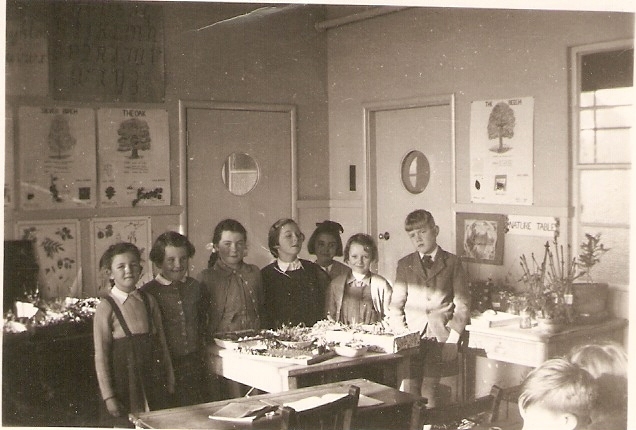 In May 1943 the first school dinners were taken in the classrooms, 211 in total. 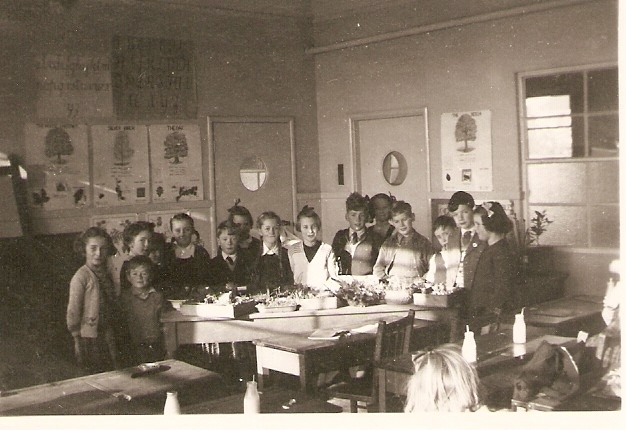 It wasn’t until 1948 that a school canteen and dining room were completed. Unfortunately, due to the aftermath of the war, equipment was not readily available to support the new facility and the numbers requiring a hot meal. 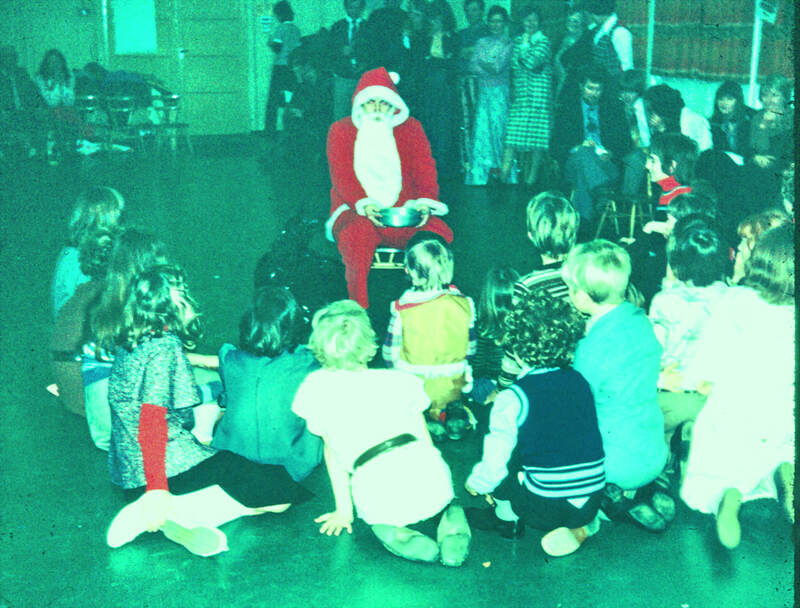 Herts County Council overcame this by providing two sandwiches for lunch once a week for the children who stayed to dinner (lunch was then called dinner). 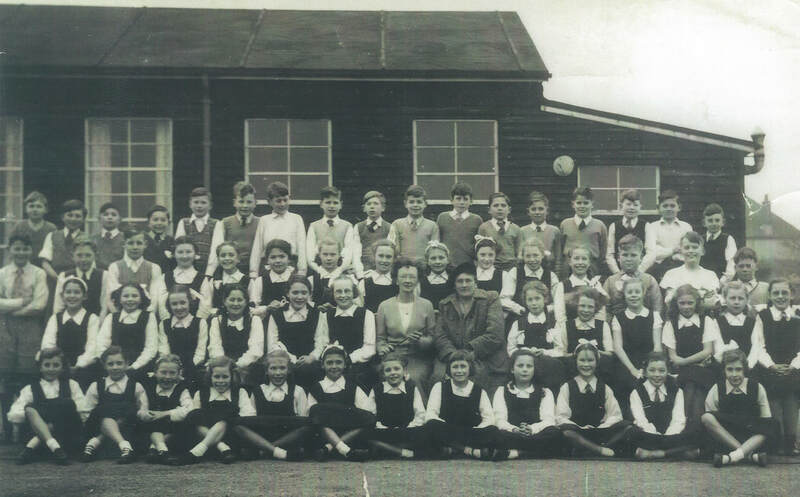 Miss Cooper retired in July 1952 and at this time was still living in the schoolhouse attached to the school in Yorke Road. 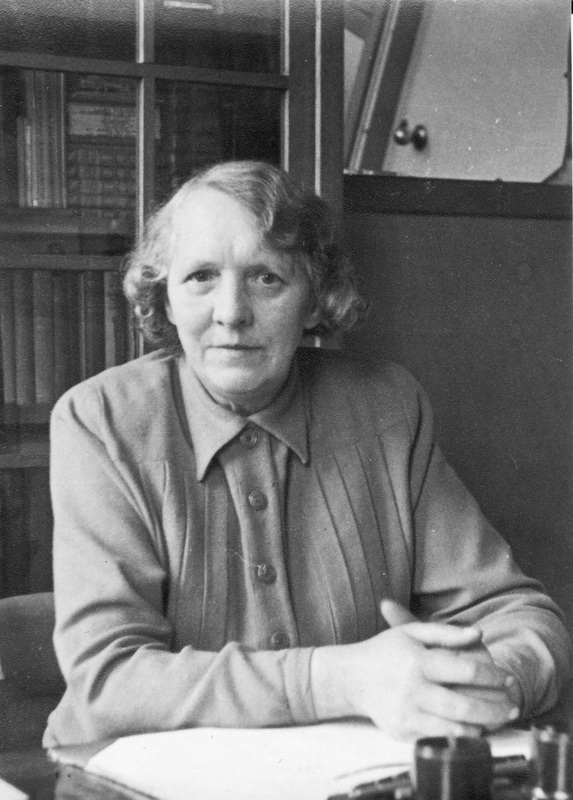 She continued to live here until she became unwell and passed away in September 1963. 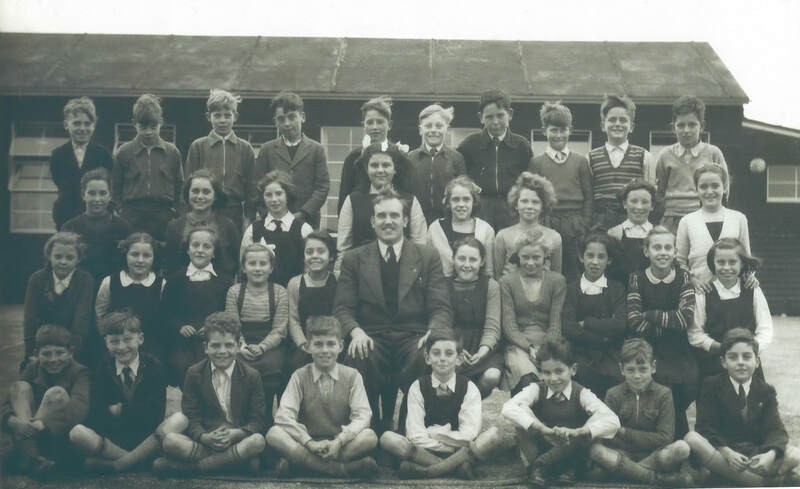 Mr Ernest Ford followed Miss Cooper as Headmaster and soon after in 1956: four additional classrooms and a library were added to the school buildings.. 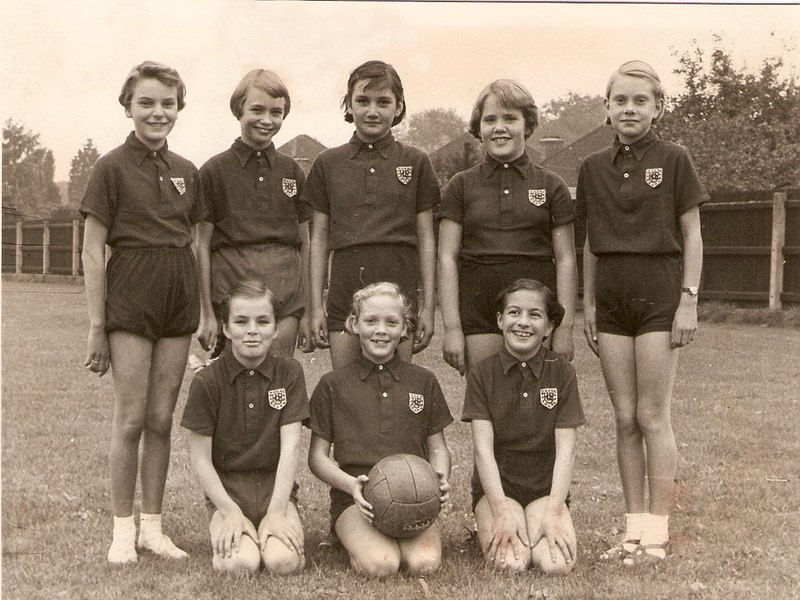 The school motto was decided “Qui s’excuse s’accuse” and the pupils were separated into four ‘Houses’ for the purpose of gaining a competitive spirit in much of the school curriculum including sports. 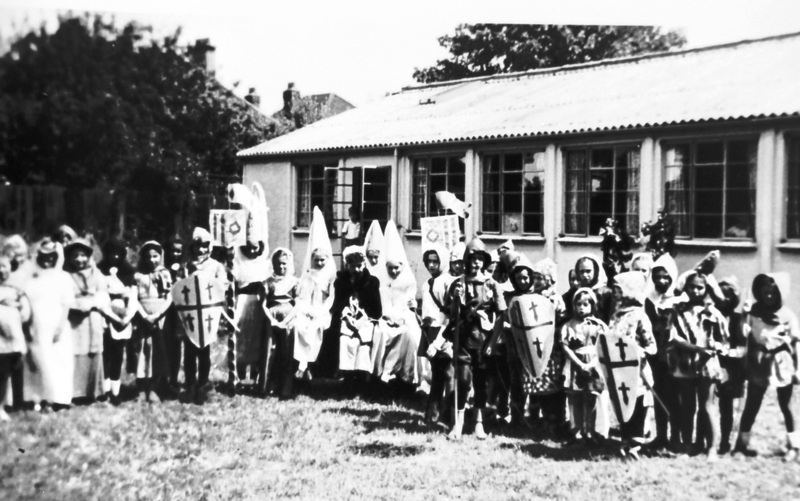 The ‘Houses’ were identified by the names of people and places associated with the village. 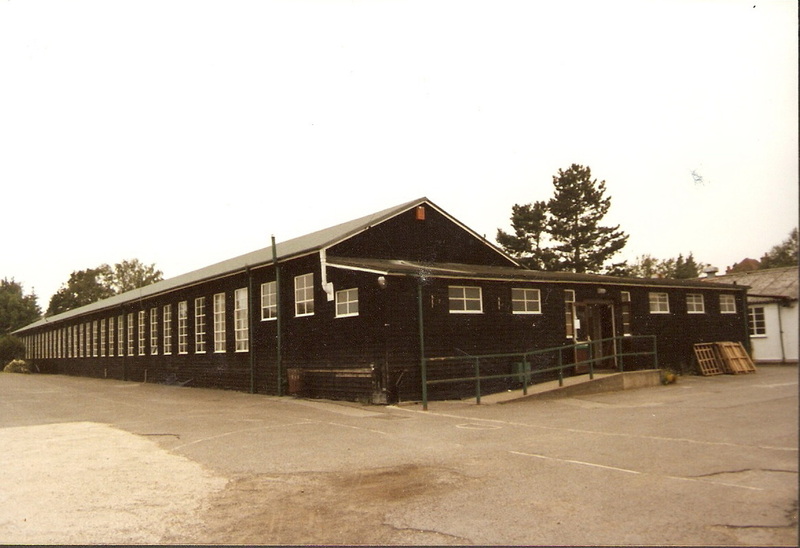 As Croxley Green is surrounded by lakes, rivers and a canal swimming lessons were becoming a high priority for young children and monies were achieved so that a sizeable outdoor pool could be built in the school grounds. 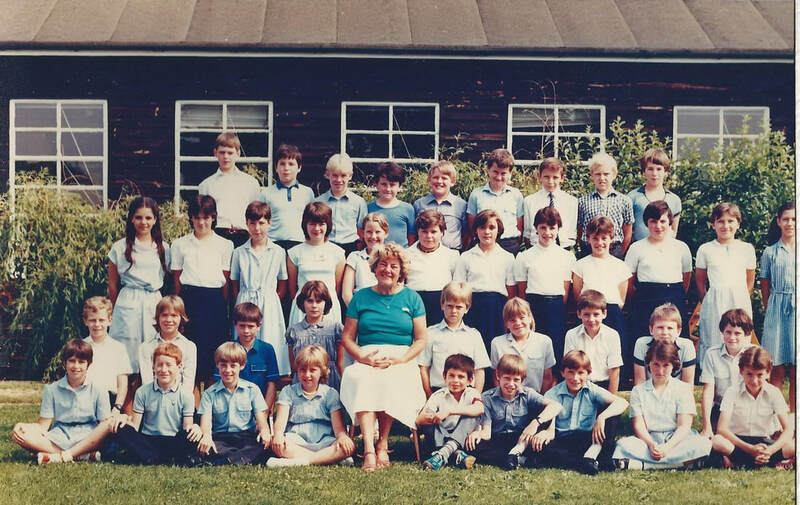 After a successful period of approximately 23yrs as Head Mr. Ford retired and was succeeded by Mr. Alan Nicholson who was in place during the school’s Golden Jubilee anniversary in 1988 when celebrations included a special reunion of past pupils. 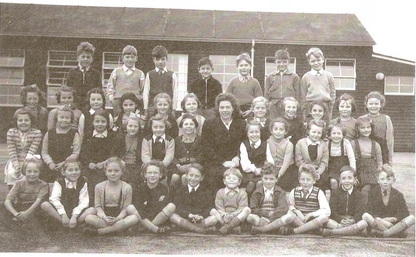 The school was now showing signs of age as well as over crowding once more. 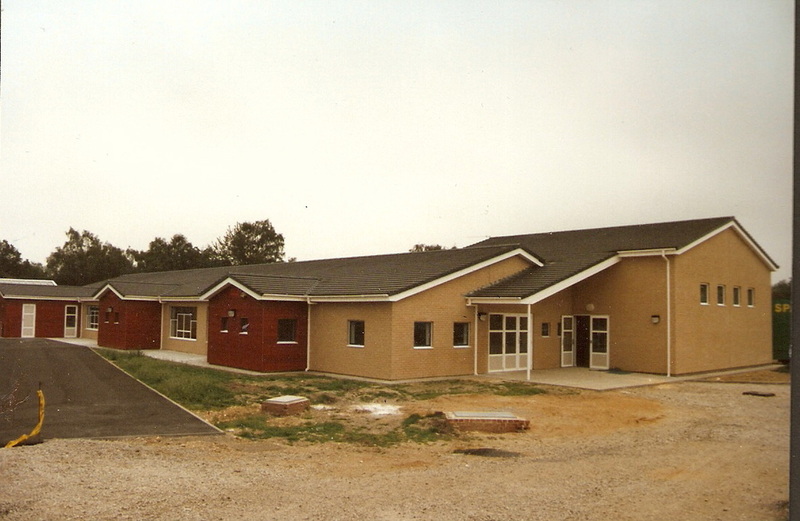 A new modern brick school was completed in 1997 the same year Mr. Nicholson retired and Alison Gauntlett became Headmistress. 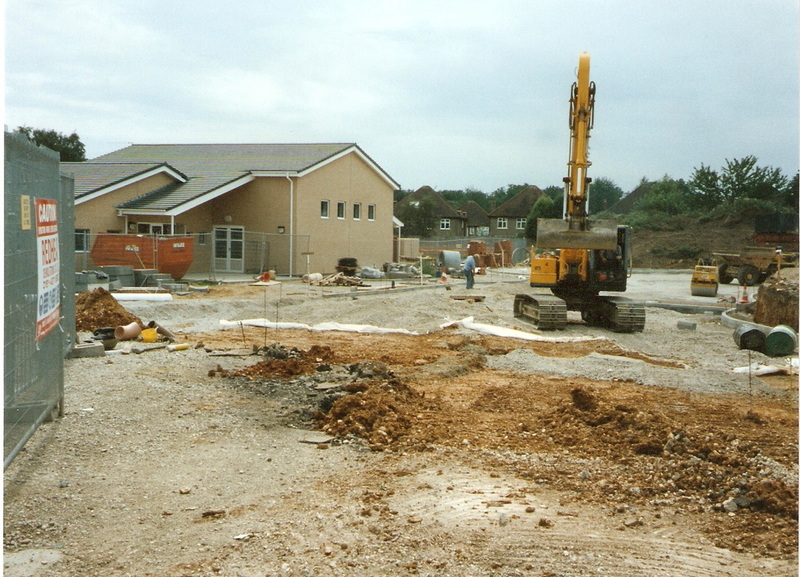 Children had been able to witness the progress of the building construction, an exciting time with all the ‘plant’ working especially for the boys! At this time the headship changed fairly rapidly as Jane Benn followed in 2002 and Mr N Rowland in 2005. 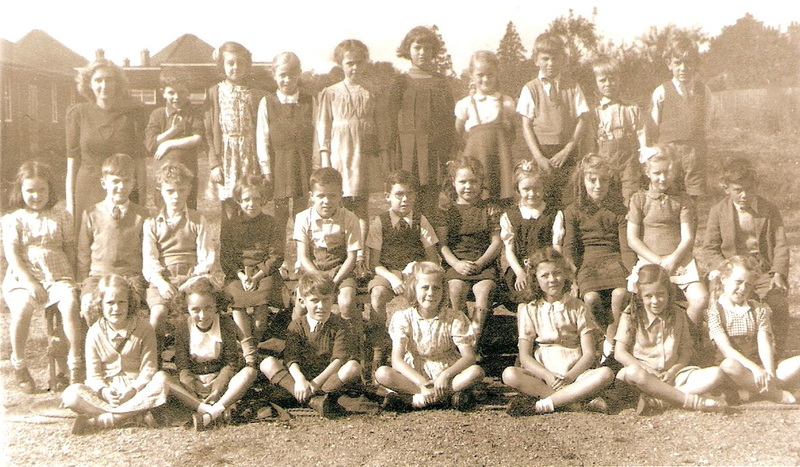 The school’s 75th anniversary in 2014 became a milestone to plan once more a huge celebration. ?? / ?? / ?? / ?? / Peter Samuels / ?? / ?? / Frank Standen / ?? Front Row: Noreen Harmer / ? 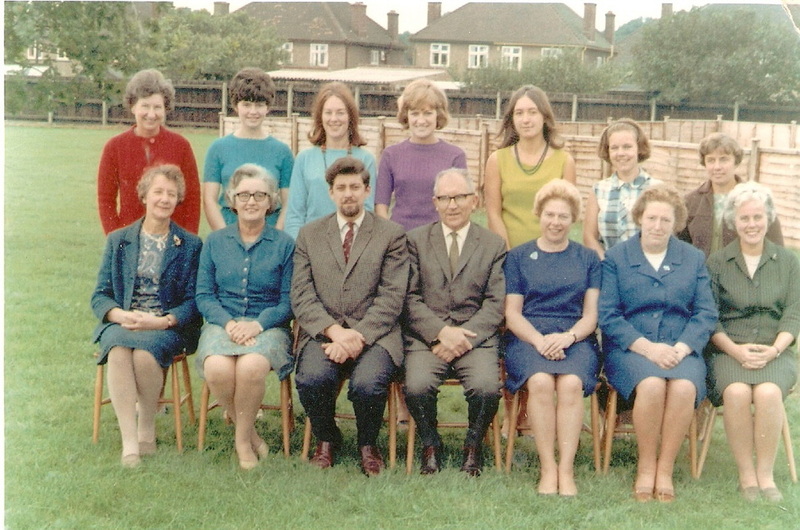 Williamson / Michael Curtis / Pat Hill / Janet Wilkinson /Mary Newby / ?? Middle Row: ?? / ?? /?? ?? / Eric Cameron / ?? /?? / ?? / Rosemary Hedges / Jennifer Gray / ?? 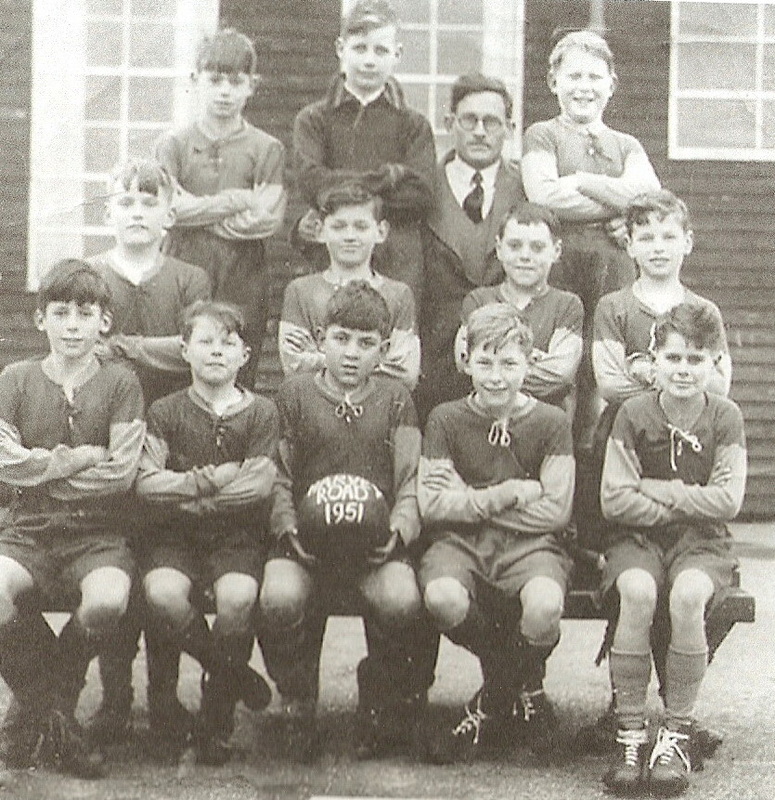 © Harvey Road School 1949-50 Back row ---Can you name these pupils? 3rd row ?? 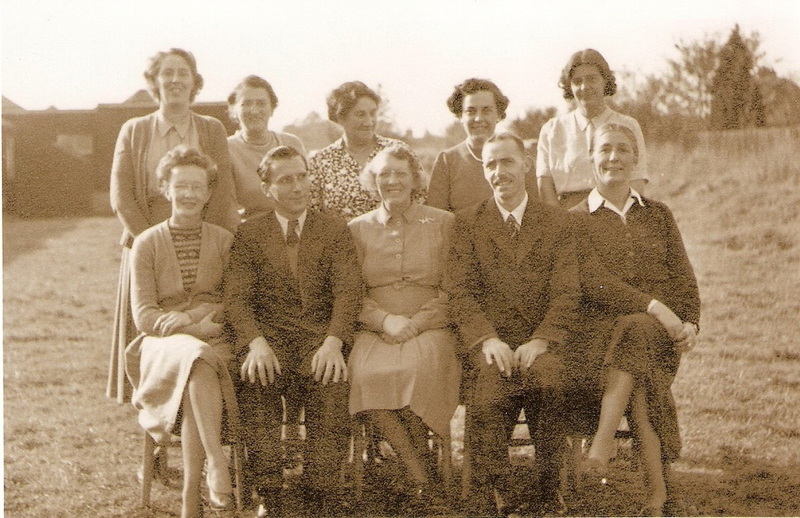 Sheila Richardson Pamela Carr Rosemary Ford ?? Joan Pullen ?? Nina Carter 2nd row ?? ?? ?? ?? ?? Mr. Veasey ?? Susan Howard ?? ?? ?? Front row ?? ?? ?? Stanley Smith HenryNoble ?? ?? ?? 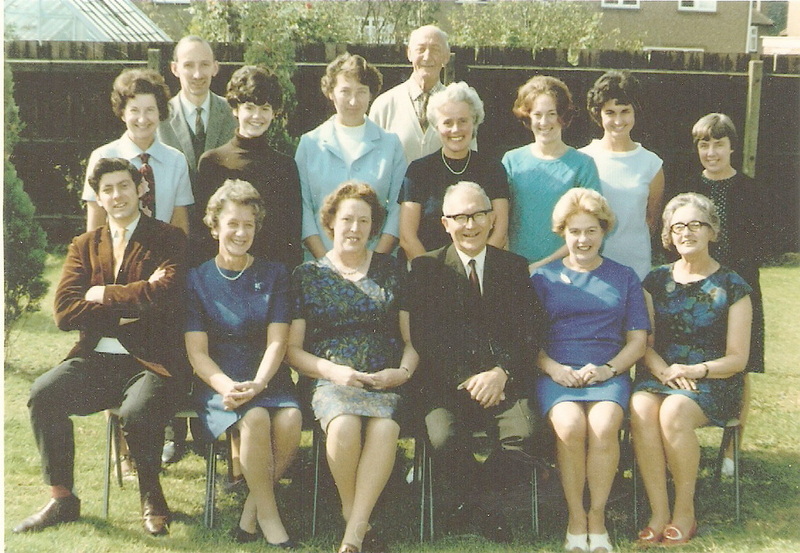 Kneeling:Christine Bott-Gillian Webster-Wendy Furr-Jean Snell-Madeline Hutchinson-ShirleyJjeffries- Rosemary Galloway- Rita Owen- Pat Simpkins-Angela ? 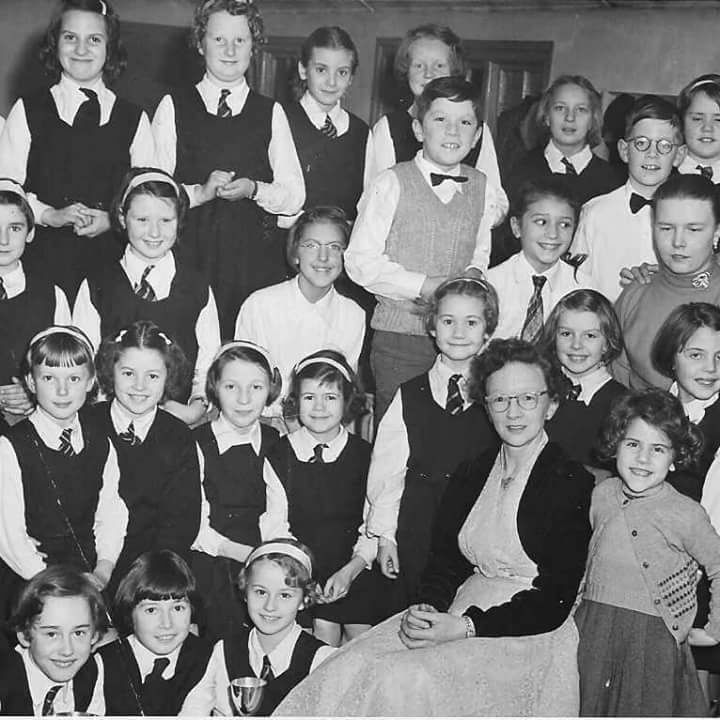 © Harvey Road School c1952 -bottom row left Sheila Walker- Christine Pullen (2nd left) Can you name the teacher and the other pupils Can you help with naming the other pupils please? 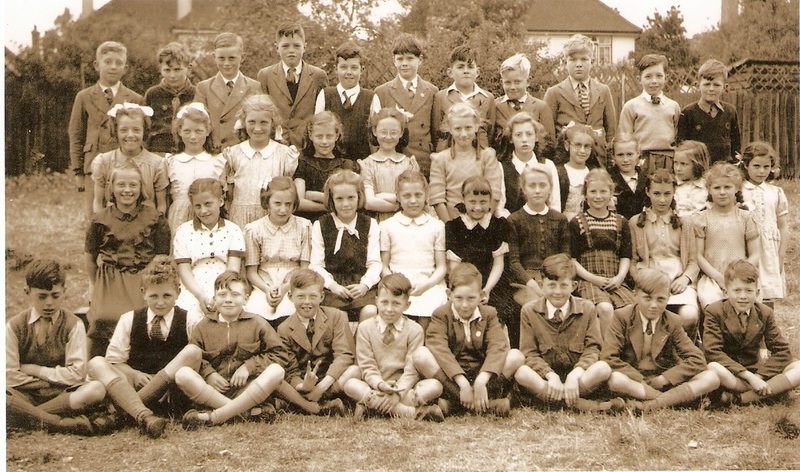 © Harvey Road School Choir c1952 Back row from left ?? ?? ?? Paul de Luca ?? ?? ?? Terry Rodger ?? Christopher Milton ?? Ian le Vacont ?? ?? ?? 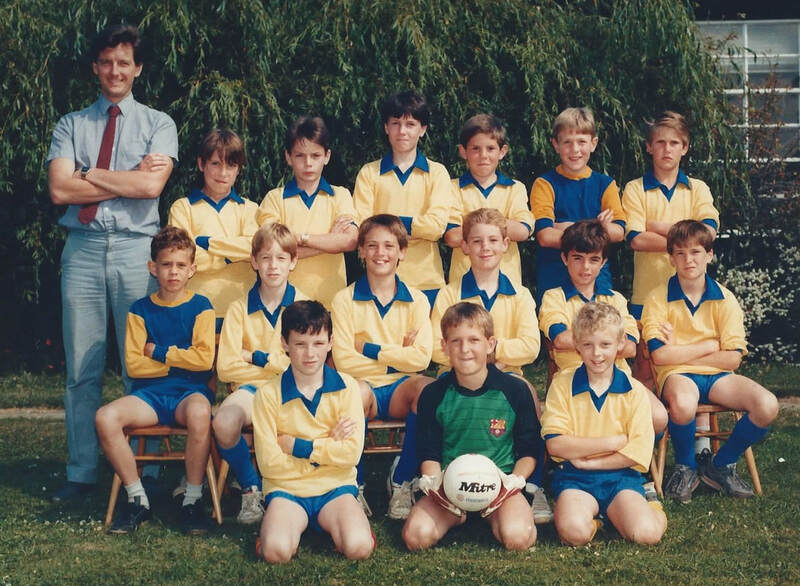 David Pope Henry Noble 1st Row down Freddy Gomm Wilfred Knight ?? ?? Nina Carter ?? ?? Pamela Galley ?? ?? ?? ?? Peter Shrubsole ?? ?? 2nd Row down Brenda Jacks Greta ? ?? Shirley Pritchard Jennifer Childs ?? Mrs Fenton ?? 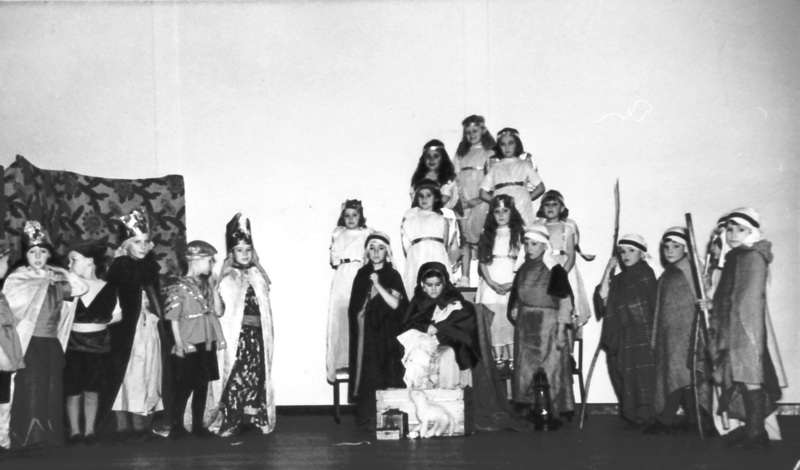 Marion Fox Joan Pullen Pat Williams Susan Howard ?? 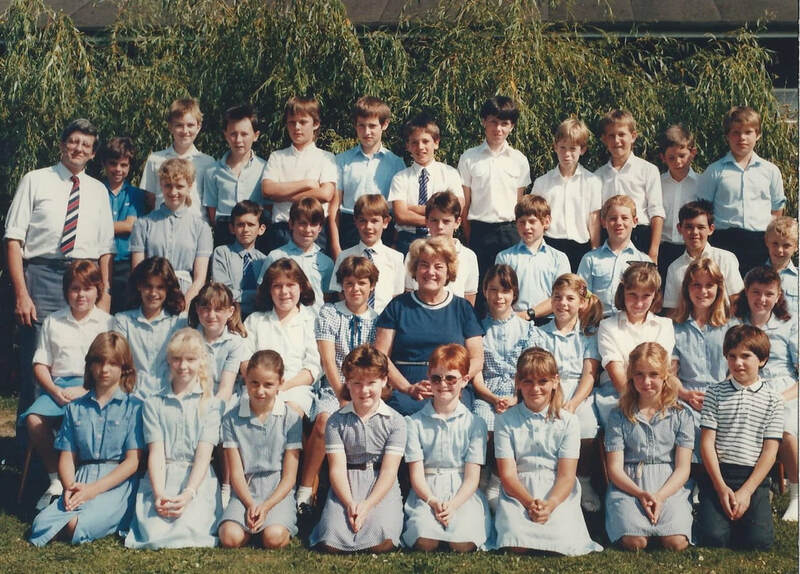 Mary Gittings Front Row Janet Nicholls ?? ?? ?? ?? Peta Golding Sheila Smith Margaret Symonds ?? ?? ?? ?? Please contact us if you can supply any of the missing names. 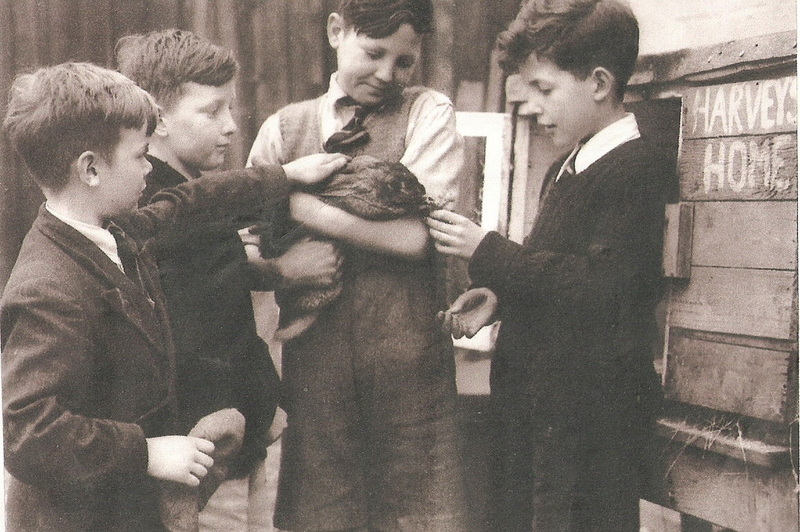 c1955/6 The school had a pet rabbit called ‘Harvey’. Featured from left to right Keith Paddick, Peter Wilson, David Penny, Barry Hoband.Peter and Barry’s family would take it in turn to look after Harvey at the weekend. 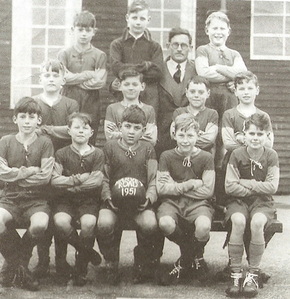 © Harvey Road Football Team 1951 Back row: ?? ?? Teacher? ?? Middle Row: ?? David Pope ?? 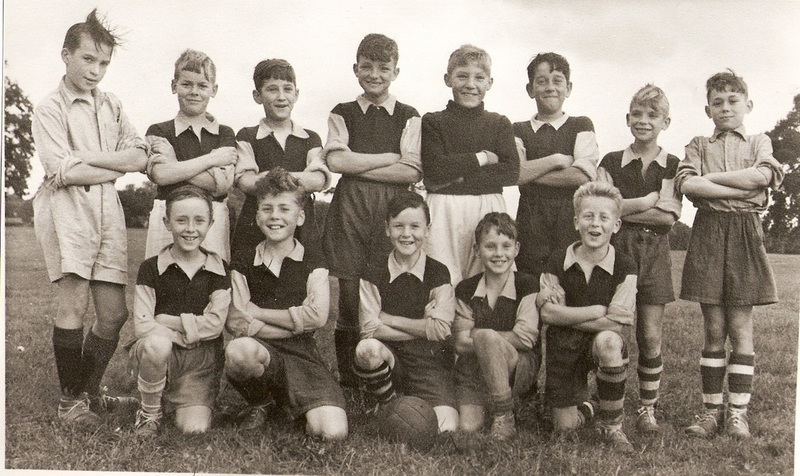 Terry Rodger Front row: ?? ?? ?? Wilfred Knight ?? Please contact us if you can recognise any of the missing names? The following are the Head Teachers that have been in position since the school opened.